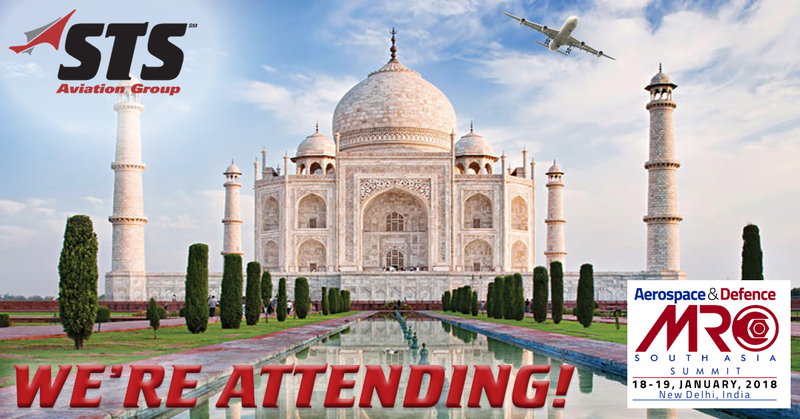 STS Aviation Group Gears Up for MRO South Asia Summit! This event is South Asia’s first knowledge sharing summit on aerospace and defense MRO. Attendees will gain huge opportunities to engage with policy makers, regulators, airlines, technology enhancers and many more key contacts from all segments of the business. This is set to be a must attend program and will surely excel growth of the region’s MRO industry! During the two-day, high-profile summit you can expect topics to be covered such as optimization of MRO logistics, digitalization of MRO,the role of big data, OEMs and parts availability in addition to a whole lot more! Key members of STS Component Solutions, David Ikeda (Vice President of Sales – EMEA) and Ryan McComas (Account Manager) will be available in person to discuss all of your company’s aircraft inventory requirements. Be sure to reach out and meet the STS team, and we really look forward to seeing you in India!